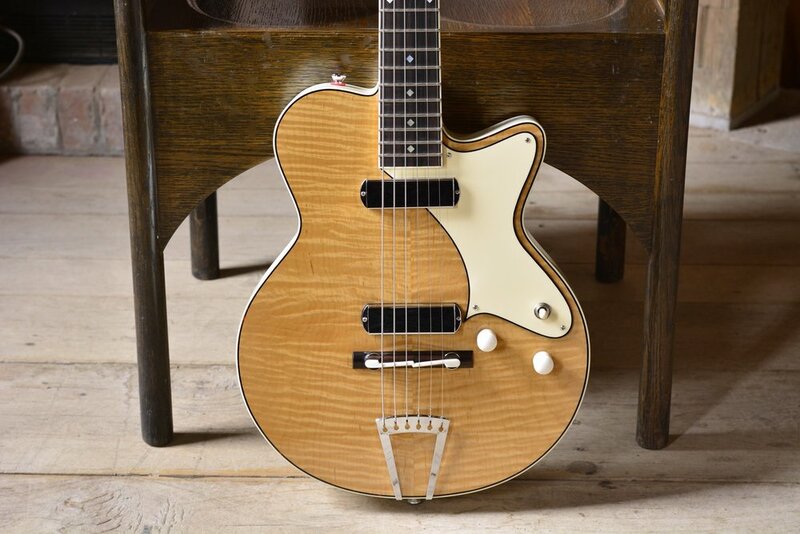 This electric recently sold at The Music Emporium in Lexington MA. It has my Fralin single coils and chromed brass combo bridge. The pickguard is 1/8" clear plexi back painted with the same Ivory colored lacquer that I mixed up for the back and sides. 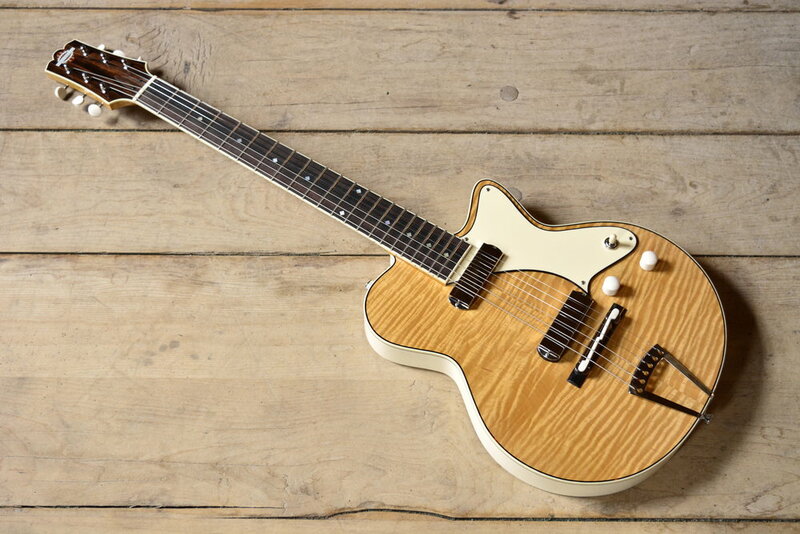 I took a bit of a break from electric instruments to build this square neck reso recently. Back in the 90's I built many square and round neck resophonic guitars. I've been a big fan of both metal and wood body reso guitars as long as I can remember, and I've owned and repaired many of them over the years. I still get a charge every time I string up a new one.